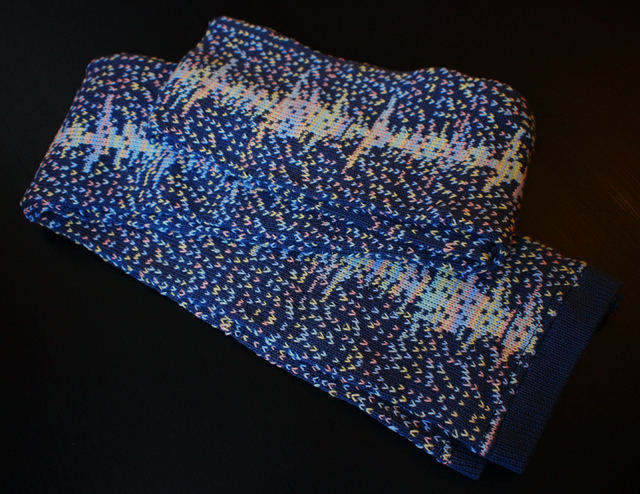 The pattern for this scarf is based on a sample of the The Amen Break. I took an image of the waveform of the amen break and converted it into a knitting pattern, which I uploaded onto a hacked knitting machine. The knitting pattern repeats over and over the same way that the amen break sample gets looped in so many musical compositions.